The storied Coast Guard cutter Tamaroa, which served with distinction for more than a half-century, will be remembered as an unrelenting workhorse as she goes to her final resting place as an artificial reef off the New Jersey-Delaware coast. Built as the Navy ocean tug Zuni and later refitted as a Coast Guard cutter, the 205-foot Tamaroa towed disabled warships out of harm’s way in the Pacific during World War II. In her ensuing 48-year Coast Guard career, she saved dozens of lives, including four Air National Guard airmen in the “No Name Storm” of Halloween 1991. 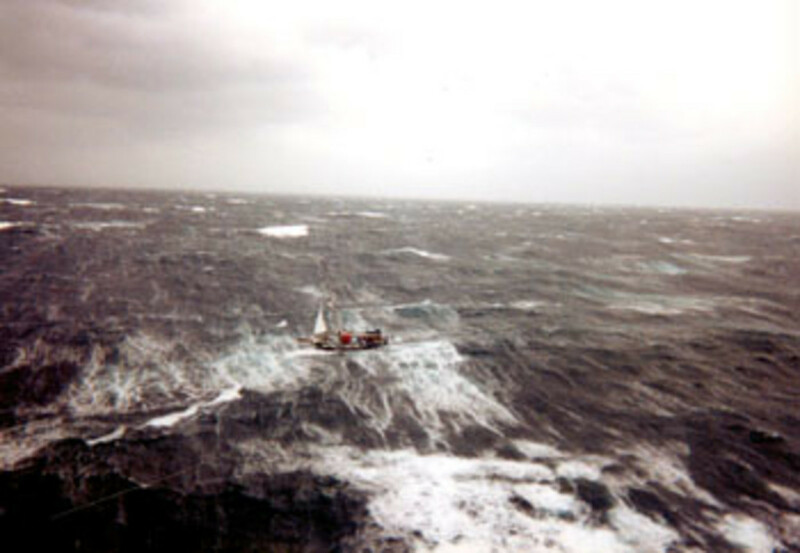 The cutter crew’s heroism in that infamous North Atlantic gale was popularized in the book and movie The Perfect Storm, Sebastian Junger’s account of the loss of fishing vessel Andrea Gail and her six crewmembers, but also the rescue of three aboard the sailboat Satori, and Tamaroa’s rescue of the airmen of 106th Rescue Wing. “The ship has a lot of history,” says Capt. Larry Brudnicki, now retired, who was captain of Tamaroa during the “Perfect Storm” rescues. 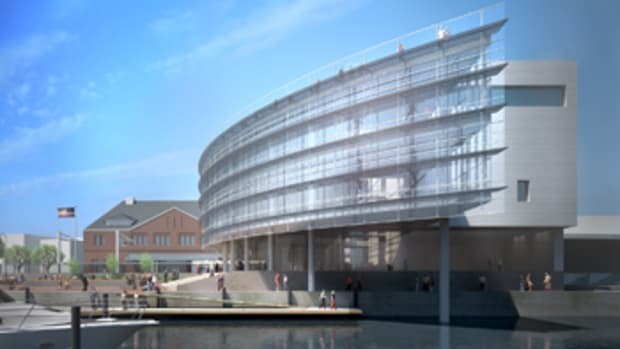 The ship — painted gray now, as she was during her Navy days — is docked at American Marine Group on the Elizabeth River in Norfolk, Virginia, undergoing cleanup and preparation for her new gig as an artificial reef. “It’s always sad when a ship is decommissioned,” Brudnicki says. Launched for Navy service at Commercial Iron Works in Portland, Oregon, in July 1943, USS Zuni earned four battle stars before she was decommissioned in July 1946 and transferred to the Coast Guard, where she served until 1994 as a medium-endurance cutter. She was decommissioned a second time at her last duty station — New Castle, New Hampshire — and transferred to the Intrepid Sea, Air & Space Museum in New York City. 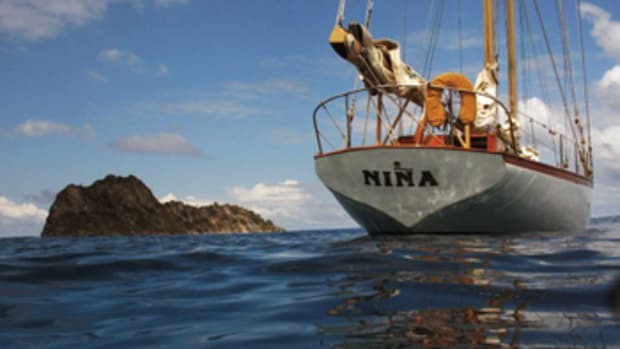 A Coast Guard history of Tamaroa says a former crewman summed up her retirement this way: “The Mighty Z, the Tam, the invincible vessel,” which at the time was a remarkable 51 years old and still working, faced a $1 million yard bill to bring her up to snuff. “Heavy cuts in other Coast Guard mission funding forced the end,” he says. There are worse fates than being sunk as an artificial reef. “Considering the options — either being [cut up and] turned into razor blades or turned into a fishing reef — I’d rather see it sunk as a fishing reef than disappear,” Tamaroa’s former skipper says. The ship’s gamut of assignments over five decades as a cutter reflect the Coast Guard’s multiplicity of missions. 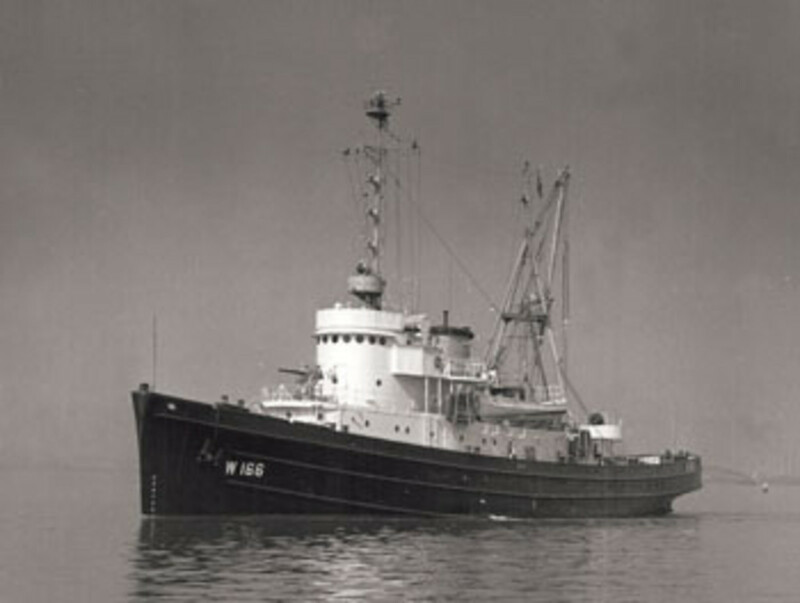 Tamaroa assisted in retrieving bodies from a Venezuelan Airlines Super Constellation that crashed and sank with 74 lives lost off Asbury Park, New Jersey, in June 1956, and that same summer joined the cutter Owasco in escorting the Stockholm to New York Harbor after its collision with the Italian luxury liner Andrea Doria off Nantucket, Massachusetts, according to the Coast Guard’s official Tamaroa history. 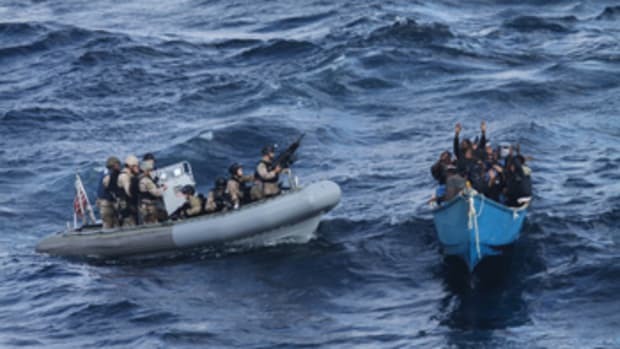 On patrol in the Caribbean in October 1989, she rescued 238 Haitian migrants from two “grossly” overloaded sailboats, one a 30-footer with 103 persons aboard, another 40 feet and carrying 135 migrants. Two years earlier, her crew seized 400 pounds of marijuana hidden in tubes attached beneath the waterline to a sailboat’s 28-foot hull. Tamaroa’s resume doesn’t end there. 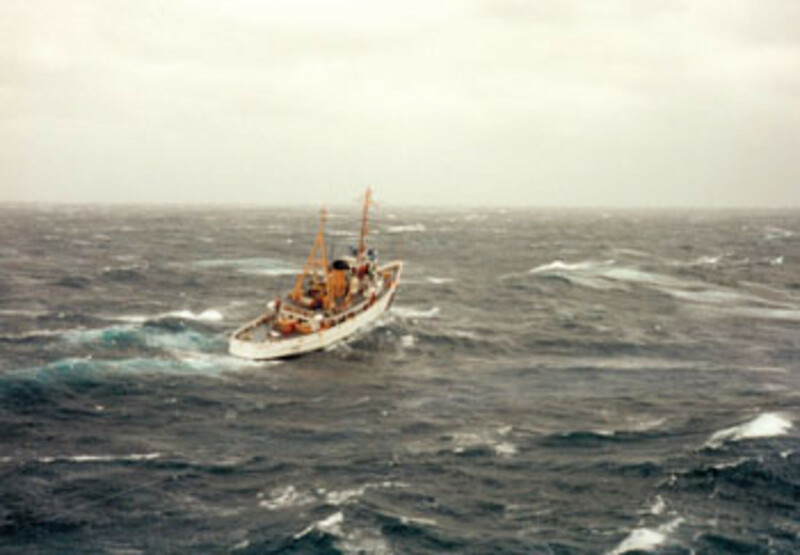 The cutter went out on ice patrols, performed fisheries enforcement and, during a 1979 New York Harbor tugboat strike, towed barges loaded with sludge from New Jersey treatment plants to an offshore dump site. As a Navy tug, she towed the disabled merchantman SS John B. Floyd and the battered light cruisers Houston and Reno — the latter on a voyage of 1,500 miles from the Philippines — to Ulithi lagoon, the Navy’s staging area for western Pacific operations. Arriving off Iwo Jima three days after marines hit the beaches, Zuni stayed on station for 31 days, performing “yeoman service for the warships” there, according to the Navy. She pulled a transport off a sandbar, intentionally ran aground next to a disabled tank landing ship to help it land ammunition, assisted broached landing craft and laid fuel pipes. 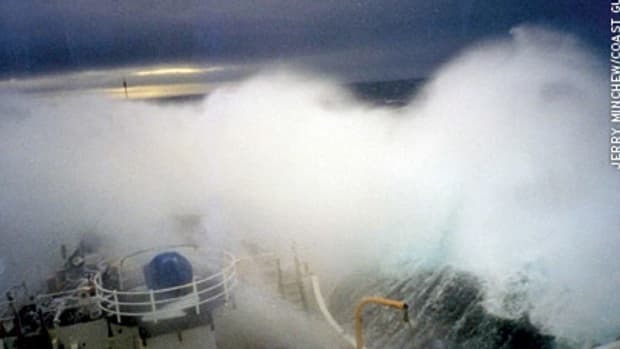 Yet Tamaroa’s defining moment was as a cutter performing search-and-rescue missions during the “Perfect Storm,” a nor’easter that converged with remnants of Hurricane Grace to become a brutal tempest that at its peak generated winds of 70 mph and at least one 100-foot wave, recorded at a buoy 264 miles south of Halifax, Nova Scotia. 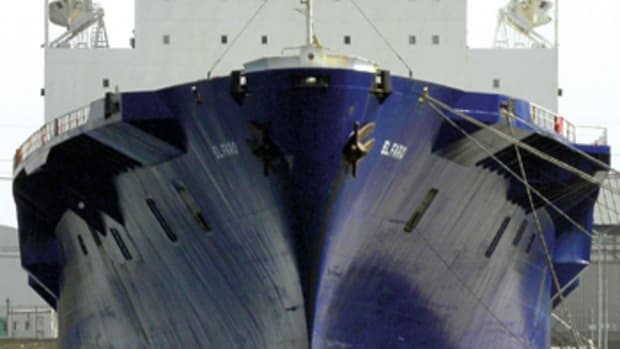 Stationed at New Castle, New Hampshire, Tamaroa responded to assist the 32-foot Satori — sailing from Portsmouth, New Hampshire, to Bermuda — after a freighter relayed a mayday sent by one of the sailboat’s crewmembers. 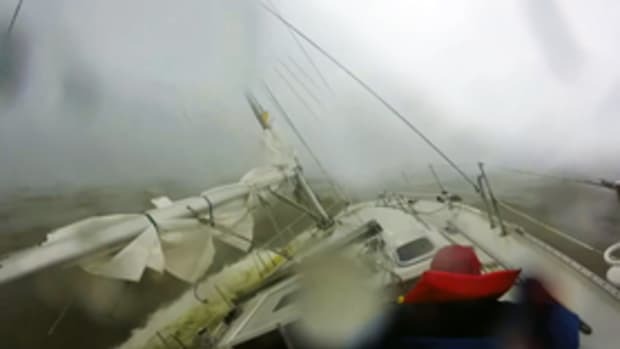 Seas were 30 feet, with 45-mph winds gusting to 65, around noon on Oct. 29 as Tamaroa, a Coast Guard jet and an H-3 helicopter stood by to rescue the three sailors aboard Satori. Brudnicki, the on-scene commander, dispatched Tamaroa’s 21-foot inflatable to come alongside Satori and deliver immersion suits for the crew. 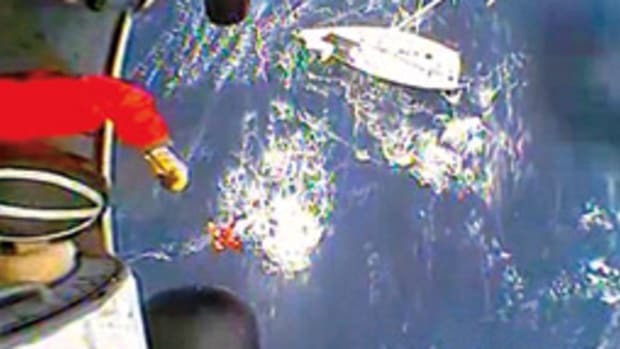 Brudnicki says the sailboat’s mast was swinging wildly — Satori had been knocked down twice the previous night — so dropping a helicopter rescue basket to the deck wasn’t feasible. But the cutter commander had to scratch Plan A — to rescue the crew with the inflatable — when the inflatable slid off a wave at Satori’s stern and the sailboat’s steering vane punctured its tube. Plan B: Put Satori’s crew in the water with a rescue swimmer from the helicopter to save them, plus the three from the inflatable, which now had no engine power, using the helicopter rescue basket. 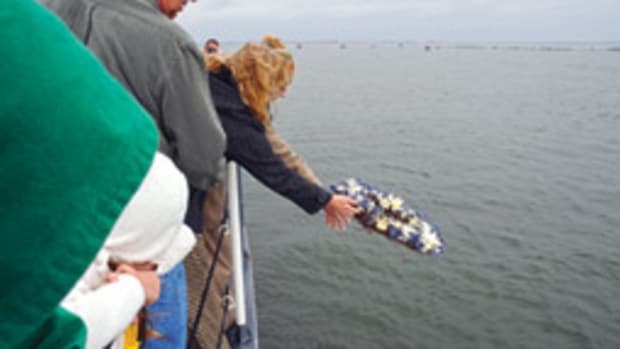 Not long after the Satori rescue, — heading back to safe harbor in the lee of Cape Cod, Massachusetts — was diverted to assist the crew of a New York Air National Guard HH-60 helicopter that had run out of fuel and ditched 90 miles south of Montauk, New York. Returning from a storm-related mission, the HH-60 had rendezvoused with a C-130 to take on fuel but failed to make the connection to the tanker’s fuel line in the hurricane-force winds. The C-130 was rolling 20 degrees and suddenly dropping or gaining 100 feet of altitude in the turbulence, says Lt. Col. Dave Ruvola, the helicopter pilot. The storm had strengthened; winds were 100 mph, and Ruvola says he ditched the helicopter in 70- to 80-foot swells. The five airmen on board jumped into the water in immersion suits. One, Rick Smith, a pararescueman, became separated from the group and was never found. From the water, Ruvola could see the 48-year-old cutter enduring 50-degree rolls. “It was hellacious,” he says. The Tamaroa crew cast out cargo nets and snagged the survivors. Green water regularly swept Tam’s deck, swamping her deck crew. Meanwhile, the engineering crew worked feverishly to keep the 50-year-old power plant running; a breakdown during this critical point, especially with only one screw, would prove disastrous. With the National Guard aircrew fighting for their lives in the roiling water, Brudnicki tried several times to position the cutter up-sea of the men and drift down on them for the rescue. After two hours, Tamaroa succeeded in maneuvering next to the hypothermic aircrew while the deck gang dropped a scramble net over the cutter’s side. By pulling the net up in sync with the cutter’s severe roll, the Tam’s crew retrieved one airman and then pulled up a group of three others. Tamaroa fell into worse repair at the Intrepid museum and wound up at a dock on Staten Island, where homeless people took to living aboard. She finally was turned over to the General Services Administration, which auctioned her in 2002 to an unidentified benefactor who held title to her while authorizing the foundation to raise money for her restoration. But the money — not enough of it, anyway — just didn’t come, Jaeger says. A core group of a dozen volunteers worked tirelessly to keep her up, but “12 wasn’t enough to do it for any length of time,” he says. Tamaroa was 85 percent equipped, according to Jaeger, but she hadn’t been out of the water since 1992. Her steel hull was corroding and taking on water. That’s when the benefactor pulled the plug, Jaeger says. Tamaroa lies at a dock in a salvage yard off the Elizabeth River in Norfolk, where she is being cleaned up and dismantled for sinking as an artificial reef. “We do not have a date for its sinking at this point,” nor an exact location, says Joanna Wilson, of the Delaware Department of Natural Resources and Environmental Control. A plaque with one of Tamaroa’s brass ports affixed to it hangs on the wall of the New York Air National Guard’s 106th Rescue Wing station in Westhampton Beach in memory of a “great ship,” her “great crews” and Rick Smith, the pararescueman who died in the Oct. 31, 1991, ditching. Tamaroa won’t be forgotten at the 106th. “We will always be grateful,” Ruvola says.